A huge choice we discussed was what kind of baby monitor she should get. I think a baby monitor is super important and I relied heavily on mine. Do you need video? Or will audio only do? Do you want access to the camera while you are out of the home? Do you need more than one camera or receiver? When the makers of WiFi Baby reached out to me, I was like, “What the heck is this?” A baby monitor that you can stream through your phone and computer? How COOL!! Even though my kids don’t need a monitor anymore, I totally jumped at the chance to review this since I wanted to see if it really worked… and (if it did) what an awesome thing to give to my bestie?! 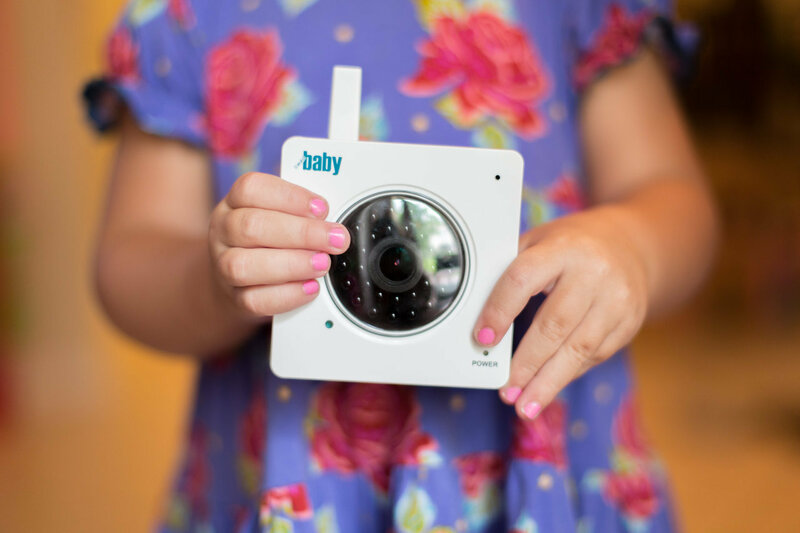 The WiFi Baby monitor is wireless and you can watch it anywhere… by downloading the app. 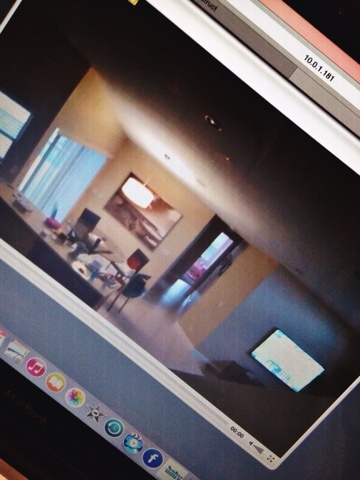 So it is not only a baby monitor, it can also be used as a nanny cam to see what is going on at home while you are away. As a working mom, I would have loved to have watched my baby from my phone or computer at work! Also, this eliminates the issue of going too far “out of range” from where the monitor is. For example, if I would let the dog out in the backyard while Mila was napping, I would lose her picture… since I ventured too far away! The camera was really easy for my husband to set up, it took just a few minutes. However, they offer free Pro Setup Support. If you have any issues with your device, they make it really easy to get a hold of someone quickly! (days, nights, weekends… whenever!) You simply fill out a form online with your issue and someone will contact you shortly to help you fix the issue! 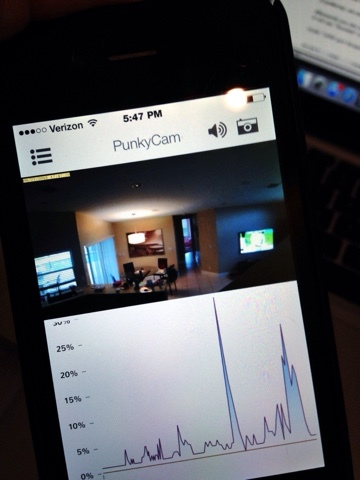 You can add the camera to as many devices as you want, by downloading the app and adding your info. I set my app up while I was home, so it scanned and found my specific device right away. In minutes, I could see & hear my kids! We tested it on our computer as well, each device comes with your own URL info that no one else will have. WiFi Baby takes your privacy seriously, and they have some heavy-duty security measures in place to make sure no one else can see what is on your monitor! Read more about their privacy measures here. My husband and I were both super impressed with the sound & picture quality. This monitor rocks! 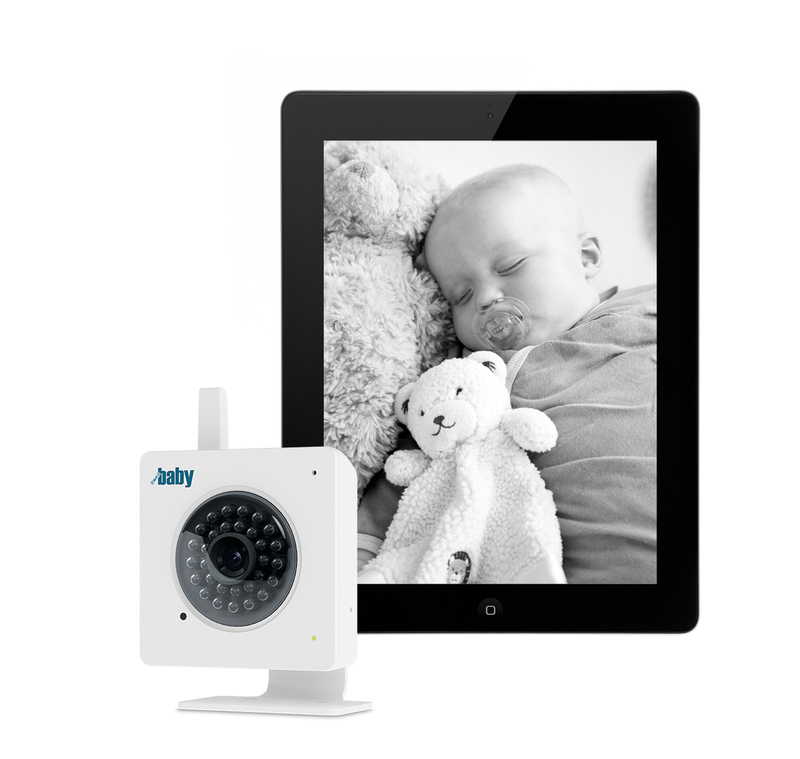 It has awesome features, and you can use it as a security camera when you no longer need a baby monitor. If you or a friend you know is pregnant, check out WiFi Baby! Stay tuned for more posts on my sweet pregnant bestie! We have lots of fun planned for this mom-to-be and I will be blogging all about it. Disclaimer: I received a WiFi Baby monitor in exchange for my honest review, opinions are 100% my own. I definitely went through this as well! I was terrified to make the final decision. We decided on audio but connecting to the iPad would have been awesome! I had audio only with my first and it was totally fine.. it just depends on what you need. But this monitor is seriously SO cool! I know! My husband was like, "why didnt we have one of these?" haha He also wanted to keep it! ha! Your best friend is adorable! They come out with so many cool things for babies these days. It's crazy! I know… when we went to babies r us.. I was like "Umm.. maybe I can't help you, I don't know what half of this stuff is!" Wow so cool! I had a video monitor but nothing like this. I had a video one with Mila, but I would have LOVED to be able to peek in while I was at work… and no wires! I am obsessed and was really happy that it worked as well as they said it would. WOW amazing! I would say you def need a video monitor, but this one takes the cake! It almost makes me want another baby…almost. lol! Isn't it the coolest? I was so impressed by how well it worked, I wish I would have had one with my kids! Well this looks awesome! I need it to spy on my dogs when I'm not home!! It could totally be a spycam!! You and your bestie are adorable!! I think especially for first-time parents a video monitor is very reassuring! Thank you.. I love her!! She is also going back to work after the baby so I know she will love it! I'd love to get one for my daughter in law. I wish had one when my kids were little. Looks like a great one. This is awesome! I still use a monitor for Ella because she's been getting up a lot with teething lately. I love that this one can be used on your phone! Very true! To see what they are up to! you live & die by your baby monitor man… that thing's gold! Totally!! I loved both of my baby monitors.. I really wish I would have had this one.